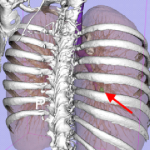 Navigation Sciences is developing novel, Image-guided Video Assisted Thoracoscopic Surgery (iVATS) technology for minimally invasive identification and removal of early stage lung tumors and other soft tissue cancers. The technology, which combines intraoperative imaging with Augmented Reality (AR), promises to improve surgical outcomes and increase operational efficiency. Navigation Sciences was established in 2017. The need for improved soft tissue surgical technology in early stage cancers is large and growing, particularly with the advent of more effective screening techniques. 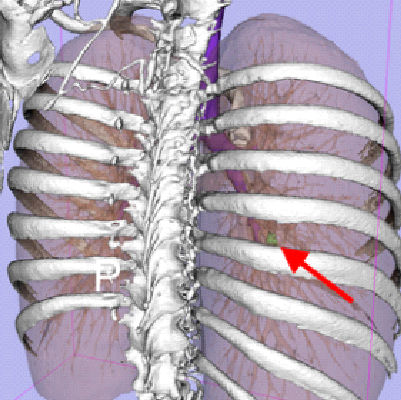 In Navigation Science’s’ lead indication, lung cancer, the demonstrated success of chest CT screening in high risk populations in lowering cancer deaths* is creating new opportunities for technology to improve lung surgery. Removal of small tumors deep inside the lung with appropriate surgical margins, however, remains a significant challenge. Insufficient distance between the tumor and the resection margin has been shown over time to be associated with cancer recurrence and death. Wedge resection, which removes a small section of lung around the tumor, preserves lung function, but carries increased recurrence/survival risk. Lobectomy lowers local recurrence risk at the expense of diminished lung function. There are more than 450,000 surgeries per year in the US, for lung, breast, liver, thyroid and brain, where Navigation’s technology may benefit. 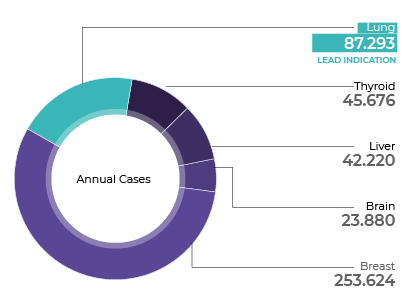 The initial addressable market is the over 87,000 US patients diagnosed with early stage lung cancers. Growing recognition of the value of CT X-ray screening and favorable CMS reimbursement coverage for high risk patients are expected to drive up the number of early stage lung cancer diagnoses. There are significant follow on opportunities in breast cancer, where an estimated 250,000 US lumpectomies are addressable with the technology, as well as with liver, thyroid and brain tumors. Raphael Bueno, MD is the chief of Thoracic Surgery, the Fredric G Levin Distinguished Chair in Thoracic Surgery and Lung Cancer Research, and Co-Director of the Lung Center at the Brigham and Women’s Hospital in Boston. He is also a Professor of Surgery at Harvard Medical School. He leads one of the largest comprehensive divisions of thoracic surgery in the US, which is responsible for nearly 5,000 cases per year. 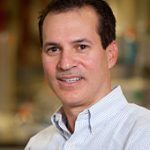 Dr. Bueno’s basic research is focused on developing molecular biomarkers in mesothelioma and lung cancer as well as using genomic strategies to expand therapies for these malignancies. His clinical research is focused on developing new strategies to target small lung nodules and GGOS as well as engineer innovative clinical trials using biological and immune therapies for thoracic cancer. 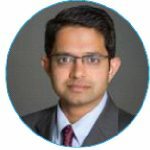 Dr. Jayender Jagadeesan is an Assistant Professor at Harvard Medical School, Research Associate at the Brigham and Women’s Hospital and Associate Member of the Broad Institute. His research interests include image-guided therapy, surgical navigation, robotics, modeling and control of smart materials, and haptics. Minimally Invasive Surgical devices and applications form his primary research motivation. He is also the technical lead for several surgical procedures in the state-of-the-art Advanced Multimodality Image-guided Operating (AMIGO) suite at BWH. 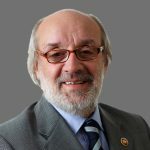 Giacomo is a member of 23 national committees, 3 hospital committees and 14 professional societies. 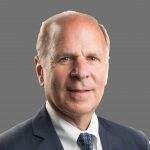 His previous hospital appointments include UC Davis Medical Center, Yale New Haven Hospital, and UMass Memorial Hospital. Additionally, Giacomo has held Chief Medical Officer positions at several companies, including Z-Medica. Giacomo holds an MD and PhD from the University of Milan. His publications include over 80 abstracts, 13 limited dissertations, and over 80 publications in peer review journals. David’s expertise lies in constructing a reliable financial framework to attract funding. 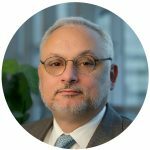 He possesses over 26 years of senior financial management experience in various capacities for a variety of medical device, life sciences, healthcare related companies, including GSI Lumonics, Glympse Bio, Infobionic, Confer Health, and Third Pole Therapeutics. Most recently he was the CFO of the healthcare IT consulting firm Beacon Partners. David has a BS from Miami University (Ohio), and a MBA from the University of Cincinnati. David is a licensed Certified Public Accountant (CPA) and is an adjunct instructor in the MBA program at Worcester Polytechnic Institute. iVATS provides real-time GPS navigation to precisely locate and excise the tumor with optimal margins, while preserving lung function. The technology is designed to reduce recurrence and re-operation rates, as well as increase operating room efficiency. The company’s innovation is in the use of an active fiducial marker along with AR software to enable real-time interoperative tracking with enhanced visualization guidance integrated into the surgical cutting instruments. The revolutionary multimodal technology used in conjunction with minimally invasive instruments includes imaging + proprietary real-time navigation algorithm for placement of fiducials and electronically tracked tumor cutting devices that allows for surgical precision. Radiology images are synchronized with real-time information to enable the clinician to perform procedures with precision guidance. The system is easily integrated into the existing operating room workflows with broad clinical applications. 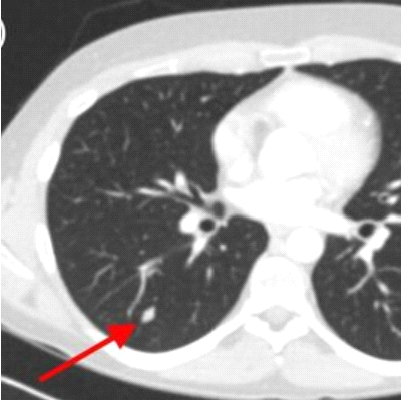 Technology Proof of Concept: In an initial 25-patient clinical trial in early stage lung cancer (with 23 cancer positive patients), there were no significant complications and all nodules were fully resected with negative margins. 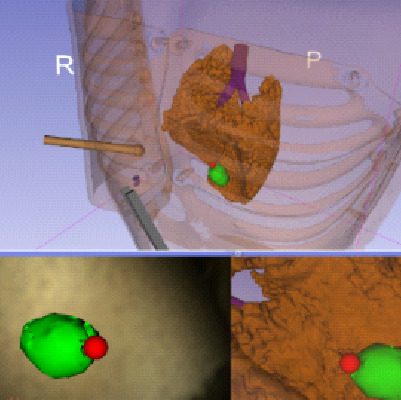 The study also demonstrated the technology integrates with surgical workflow. The Phase I-II study was published in the peer-reviewed Journal of Surgical Oncology. Intellectual Property: Navigation Sciences has an exclusive license to the intellectual property, algorithm and multiple patents from the Brigham & Women’s Hospital covering all key aspects of the technology. Clear Regulatory and Reimbursement Paths: iVATS is a Class II medical device with are multiple predicates cleared through the 510(k) pathway. The procedures are covered by existing CPT and ICD-10 codes.